Dr. Kitaeff has completed advanced training and certification in treating thyroid and related adrenal disorders through the Association for the Advancement of Restorative Medicine. 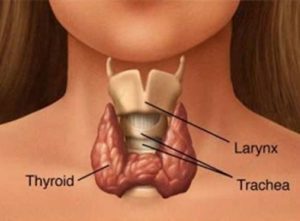 He is particularly experienced and knowledgeable in treatment of difficult cases, in which thyroid or adrenal symptoms have persisted, in spite of trying conventional drug medication. The Wilson’s Thyroid Temperature Syndrome approach provides a successful alternative treatment for such cases, involving natural remedies and often a sustained-release active thyroid hormone treatment to normalize body temperature and associated thyroid-related symptoms. In addition. Dr. Kitaeff recommends testing other basic building blocks of body chemistry, including minerals and amino acids, as well as food and environmental allergens and pathological factors, such as bacteria, yeast and parasites. Besides the fact that these factors place stress on the thyroid and adrenal glands, the collection of various data about the body can lead to a computer-generated individual Prescription Food Plan, using the food – and particularly an Anti-inflammatory Diet – to work on health permanently. Along with the nutritional or metabolic approach, physical treatment such as acupuncture and naturopathic, European medical spa-style hydrotherapy have been valuable in helping to “jump start” the slow metabolism. I would love to set up a consultation for acupuncture. I have hypothyoidism, and althought I take levothorixine I still have symptoms like fatigue, weight gain, hair loss, eczema etc. I am hoping to find something that can help me with these things. We offer a wide array of modalities for pain management and have some suggestions to help with your osteoporosis.